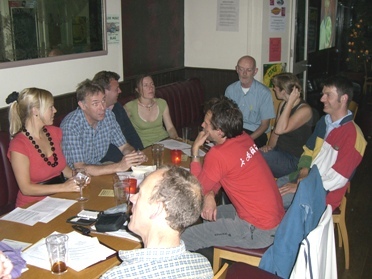 We hope you can join us for Lambeth Cyclists' meeting this evening (17 July 2012) 7:30pm upstairs at the Priory Arms pub, Lansdowne Way, Stockwell, SW8. The first part of the meeting will be business looking at latest developments in cycling in the borough followed from approximately 8:30 onwards by drinks in the bar - it would be great to see you for all or just the second part of the meeting! a) Bike Week - views on this years Lambeth Council and Lambeth Cyclists events. What should we aim to do next year? b) Clapham Old Town - what changes will make it really cycle friendly and how can we get the changes implemented?